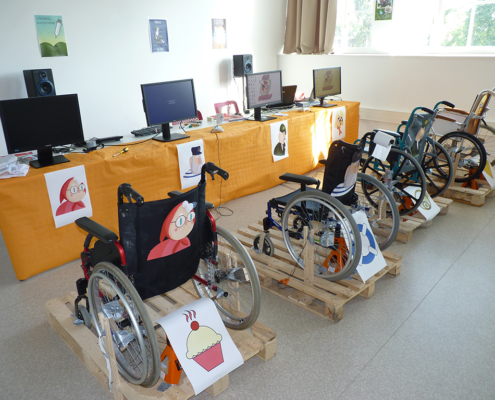 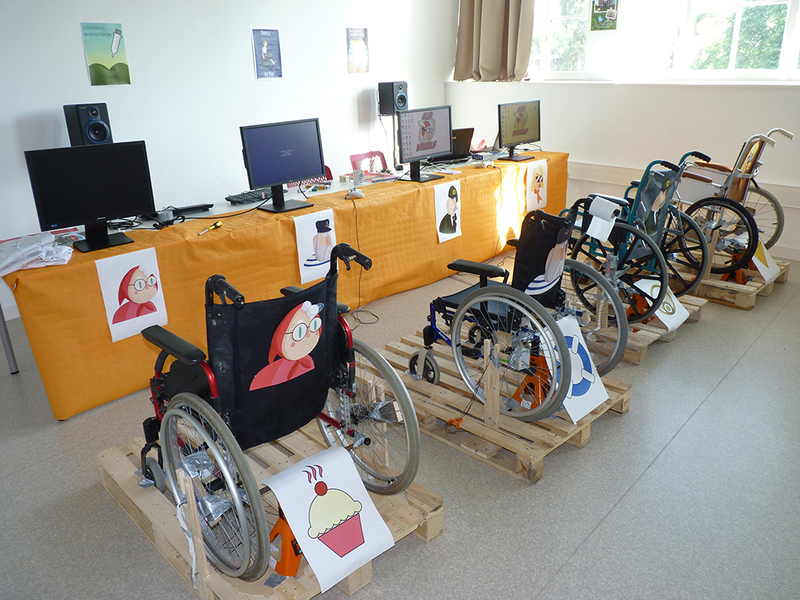 Old Wheels is a race game that features a unique type of controllers : real wheelchairs modified with Arduino technology. 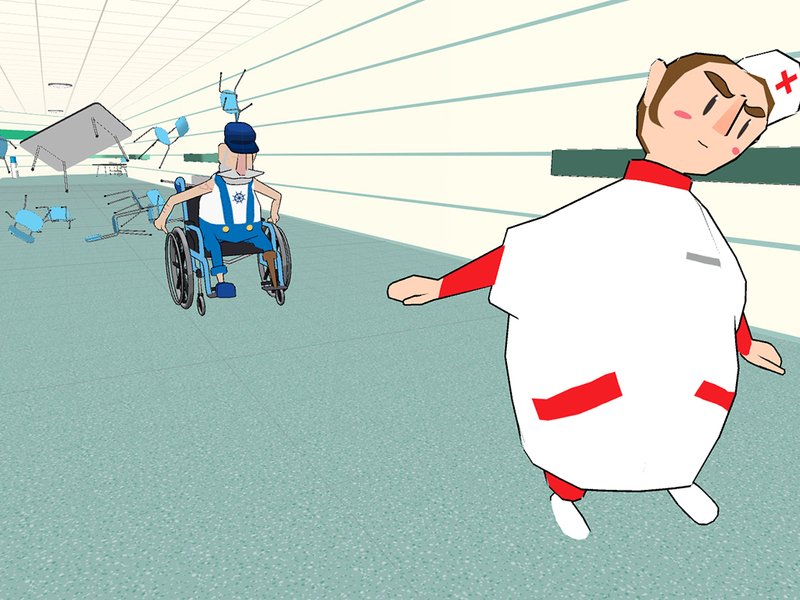 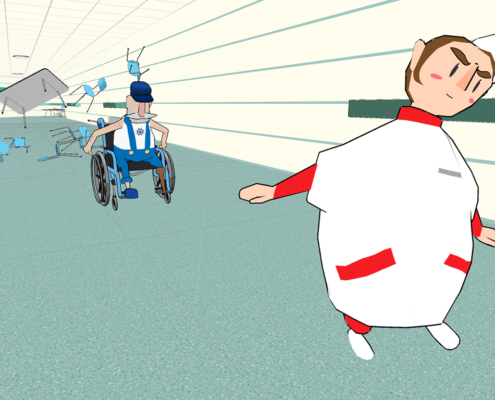 Each player is installed in his chair fixed in place and must handle the drive with a direct return on the screen when he moves his avatar by turning the wheels. 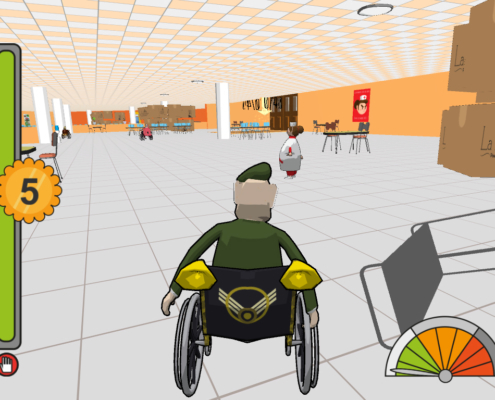 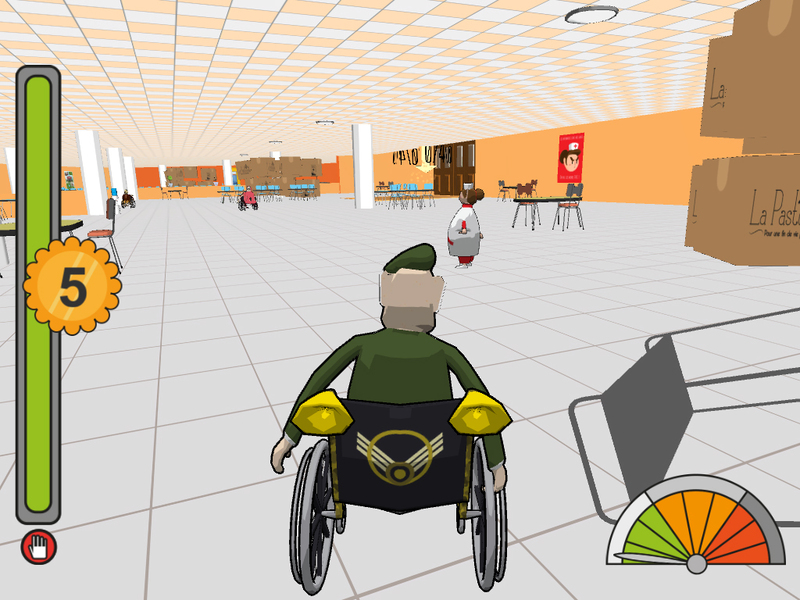 Old Wheels talks about the old-shifted in an offset and light manner through realistic controls to play down the wheelchairs and/or learn to use them.